First of all, of course, you need to find YOUR color. 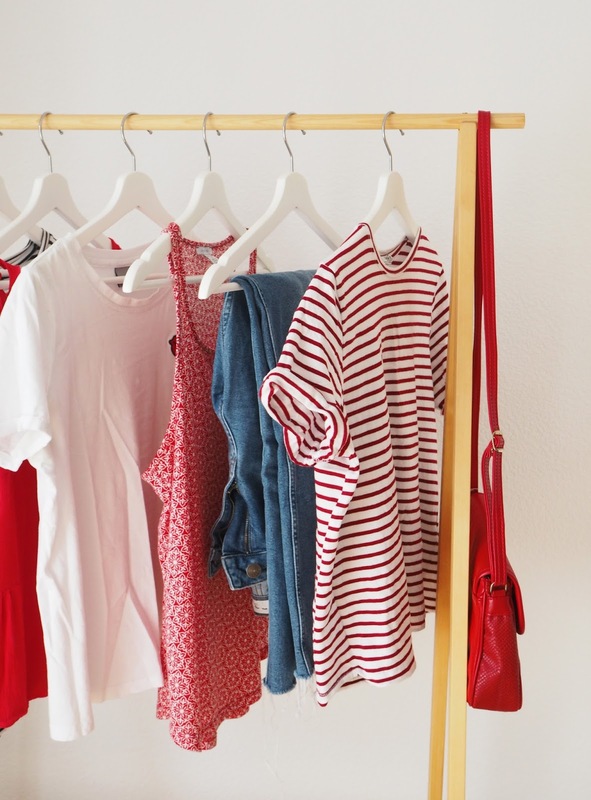 Now, you either know exactly which color you want to dive into and that´s great, so you can just skip this one, or you just know that you need some color in your closet, but you´re not sure which one it should be. My mom always talks about her being a "cold winter" when shopping meaning every person who is a cold winter suits specific colors, but I am not that scientifical about it all. I just go in the store, pick up some pieces and just see how they look together with my skintone. I know that burgundy works well with my skintone and haircolor and I wear blush pink not caring about whether it actually suits me or not because I just love the color, but especially when you´re not sure about your color palette, it just helps to try things on, hold them next to your face and see whether you look like you´ve just had the flew, or look great in it. If you want more information on the whole "4 season analysis" you can get some more info on it here and even take the test to see which season you are with the corresponding color palette. Meaning don´t go all in immediately. When dipping your toes (back) into more colorful spheres of clothing, maybe it´s better to take things easy and don´t go for a bright red maxi dress - that might be a bit too much for the beginning. Go for a colorful bag instead because you can wear it with an outfit that is typical for you, for example all black or monochrome. Like this, the color won´t feel too overpowering and you will still feel comfortable in your outfit and not like you´re dressed up - or maybe go for a colorful scarf. Some colorful shoes can also transform a monochrome outfit completetly, while still feeling like "you". Now it´s time to browse all of your favorites stores on and offline. 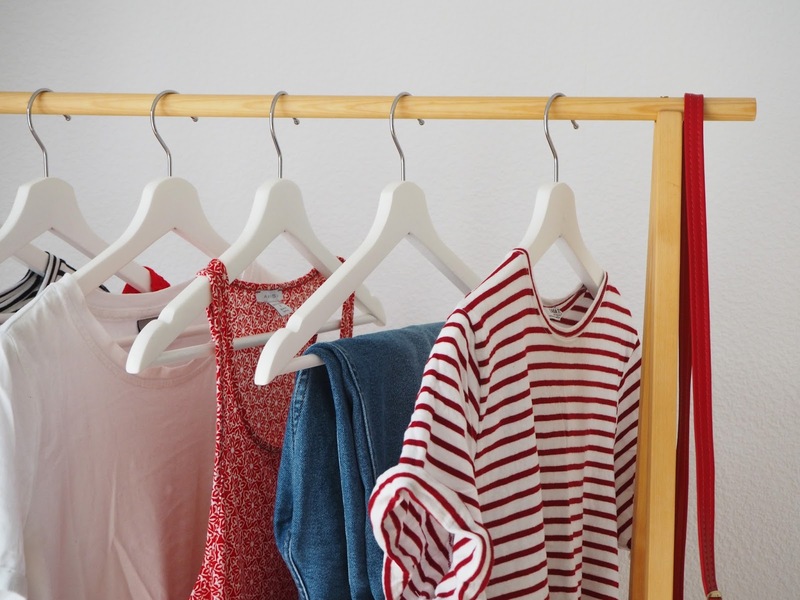 Since there are so many colorful pieces especially in red and yellow in stores at the moment, don´t buy the first 5 things you spot, but instead take your time to find the best stuff. 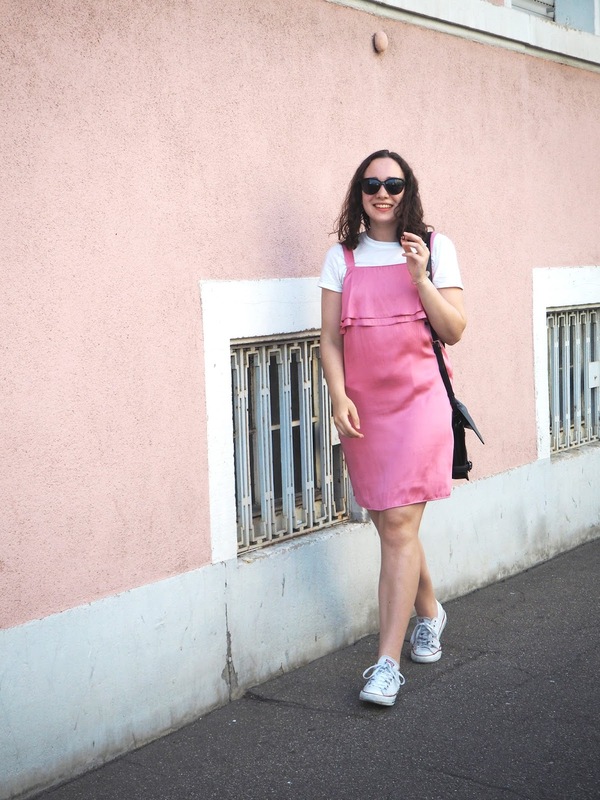 If you want to play things safe, go for things that are easy to combine with your daily outfits and the rest of your closet as well, so it´s almost guaranteed that you will feel comfortable in them. Maybe, your favorite blouse is also available in the color of your choice? Great! For sure, you are going to love your colorful version just as much. Are you looking for a cool slogan t-shirt? 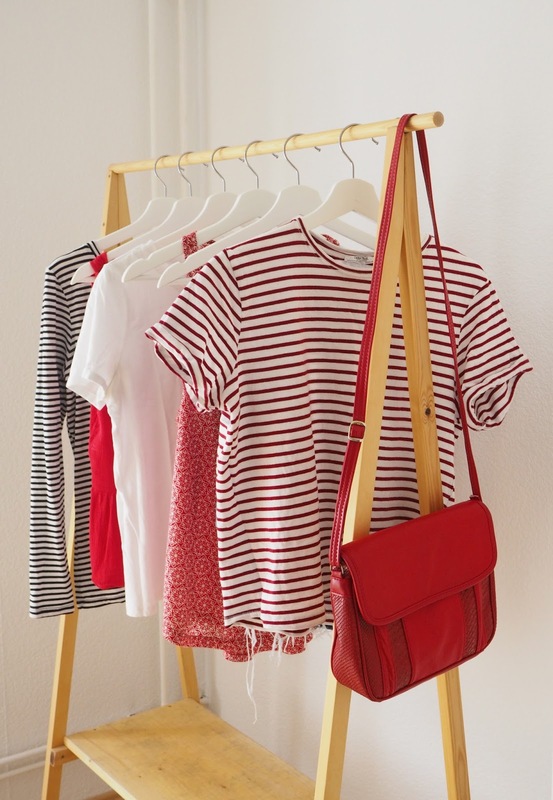 Maybe take the one with the colorful print for your easy "everyday tee" but not monochrome as usual, but with a pop of color. 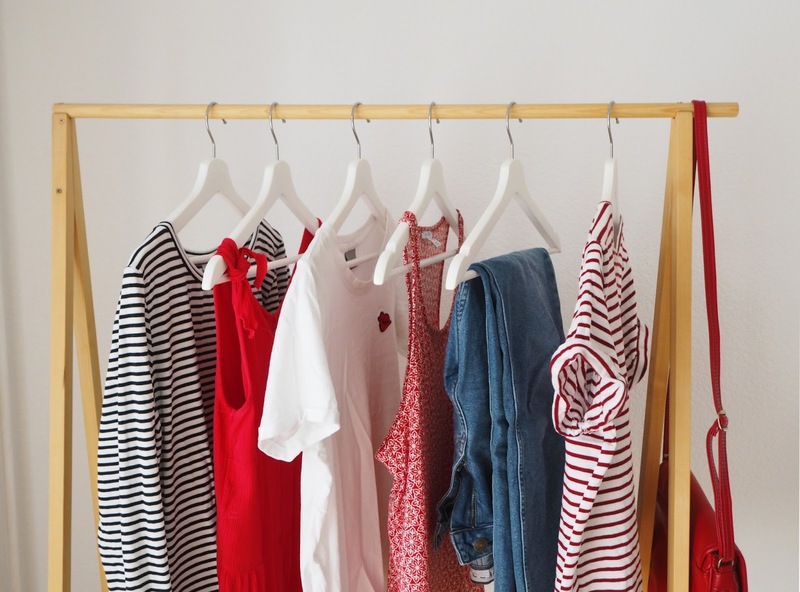 Because I have loads of black and white striped items in my closet, I thought combining a red and white striped shirt would add some color while still being in my comfort zone. Thanks my dear! I am really glad you liked it. So true! Love wearing a mostly black outfit and adding a pop of color with a bright red bag. Such a great and useful post! Thanks for sharing dear!